Retention and recruitment of volunteers is critical to the success of any program, yet both can pose significant challenges to the organization seeking help. 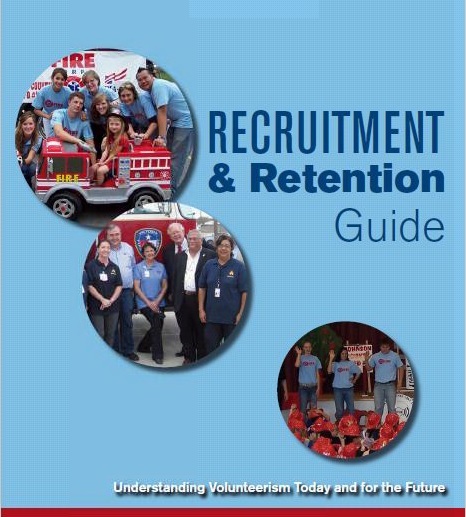 The Fire Corps Retention and Recruitment Guide will help fire and emergency service departments understand volunteerism today and provides ideas and suggestions for retaining and recruiting volunteers for Fire Corps programs. Price includes shipping and handling. For bulk pricing or for expedited shipping, please contact us at (888) ASK-NVFC (275-6832) or at nvfcoffice@nvfc.org.